Tovar-Luna, I., A.L. Goetsch, R. Puchala, T. Sahlu, G.E. Carstens, H.C. Freetly, and Z.B. Johnson. 2007. “Efficiency Of Energy Use For Maintenance And Gain By Growing Crossbred Boer And Spanish Goats Consuming Diets Differing In Forage Level”. Small Ruminant Research 67 (1). Small Ruminant Research: 20 - 27. doi:10.1016/j.smallrumres.2005.09.002. http://linkinghub.elsevier.com/retrieve/pii/S092144880500355X. Tovar-Luna, I., A.L. Goetsch, R. Puchala, T. Sahlu, G.E. Carstens, H.C. Freetly, and Z.B. Johnson. 2007. “Effects Of Diet Quality On Energy Expenditure By 20-Month-Old Alpine, Angora, Boer, And Spanish Wethers”. Small Ruminant Research 72 (1). Small Ruminant Research: 18 - 24. doi:10.1016/j.smallrumres.2006.07.015. http://linkinghub.elsevier.com/retrieve/pii/S0921448806002045. Tovar-Luna, I., A.L. Goetsch, R. Puchala, T. Sahlu, G.E. Carstens, H.C. Freetly, and Z.B. Johnson. 2007. “Effects Of Moderate Feed Restriction On Energy Expenditure By 2-Year-Old Crossbred Boer Goats”. Small Ruminant Research 72 (1). Small Ruminant Research: 25 - 32. doi:10.1016/j.smallrumres.2006.07.016. http://linkinghub.elsevier.com/retrieve/pii/S0921448806002057. Puchala, R., I. Tovar-Luna, A.L. Goetsch, T. Sahlu, G.E. Carstens, and H.C. Freetly. 2007. “The Relationship Between Heart Rate And Energy Expenditure In Alpine, Angora, Boer And Spanish Goat Wethers Consuming Different Quality Diets At Level Of Intake Near Maintenance Or Fasting”. Small Ruminant Research 70 (2-3). Small Ruminant Research: 183 - 193. doi:10.1016/j.smallrumres.2006.03.002. http://linkinghub.elsevier.com/retrieve/pii/S092144880600068X. Ngwa, A.T., L.J. Dawson, R. Puchala, G. Detweiler, R.C. Merkel, I. Tovar-Luna, T. Sahlu, C.L. Ferrell, and A.L. Goetsch. 2007. “Urea Space And Body Condition Score To Predict Body Composition Of Meat Goats”. Small Ruminant Research 73 (1-3). Small Ruminant Research: 27 - 36. doi:10.1016/j.smallrumres.2006.10.014. http://linkinghub.elsevier.com/retrieve/pii/S0921448806002926. Ngwa, A.T., L.J. Dawson, R. Puchala, G. Detweiler, R.C. Merkel, I. Tovar-Luna, T. Sahlu, C.L. Ferrell, and A.L. Goetsch. 2007. “Effect Of Initial Body Condition Of Boer×Spanish Yearling Goat Wethers And Level Of Nutrient Intake On Body Composition”. Small Ruminant Research 73 (1-3). Small Ruminant Research: 13 - 26. doi:10.1016/j.smallrumres.2006.10.013. http://linkinghub.elsevier.com/retrieve/pii/S0921448806002914. Negesse, T., A.K. Patra, L.J. Dawson, A. Tolera, R.C. Merkel, T. Sahlu, and A.L. Goetsch. 2007. “Performance Of Spanish And Boer×Spanish Doelings Consuming Diets With Different Levels Of Broiler Litter”. Small Ruminant Research 69 (1-3). Small Ruminant Research: 187 - 197. doi:10.1016/j.smallrumres.2006.01.008. http://linkinghub.elsevier.com/retrieve/pii/S0921448806000228. Gipson, T.A., A.L. Goetsch, G. Detweiler, and T. Sahlu. 2007. “Effects Of Feeding Method, Diet Nutritive Value And Physical Form And Genotype On Feed Intake, Feeding Behavior And Growth Performance By Meat Goats”. Small Ruminant Research 71 (1-3). Small Ruminant Research: 170 - 178. doi:10.1016/j.smallrumres.2006.06.004. http://linkinghub.elsevier.com/retrieve/pii/S0921448806001611. Asmare, A., L.J. Dawson, R. Puchala, T.A. Gipson, M. Villaquiran, I .Tovar-Luna, G. Animut, et al.. 2007. “Factors Influencing Urea Space Estimates In Goats”. Small Ruminant Research 73 (1-3). Small Ruminant Research: 235 - 241. doi:10.1016/j.smallrumres.2006.08.009. http://linkinghub.elsevier.com/retrieve/pii/S0921448806002379. Animut, G., A. L Goetsch, G. E Aiken, R. Puchala, G. Detweiler, C. R Krehbiel, R. C Merkel, T. Sahlu, and L. J Dawson. 2007. “Effects Of Pasture Inclusion Of Mimosa On Growth By Sheep And Goats Co-Grazing Grass/forb Pastures”. Journal Of Applied Animal Research 31 (1). Journal Of Applied Animal Research: 1 - 10. doi:10.1080/09712119.2007.9706619. http://www.tandfonline.com/doi/abs/10.1080/09712119.2007.9706619. Animut, G., and A.L. Goetsch. 2008. “Co-Grazing Of Sheep And Goats: Benefits And Constraints”. Small Ruminant Research 77 (2-3). Small Ruminant Research: 127 - 145. doi:10.1016/j.smallrumres.2008.03.012. http://linkinghub.elsevier.com/retrieve/pii/S0921448808000709. Patra, A. K, R. Puchala, G. Detweiler, L. J Dawson, T. Sahlu, and A. L Goetsch. 2007. “Technical Note: Effects Of Tethering On Herbage Selection, Intake And Digestibility, Grazing Behavior, And Energy Expenditure By Boer X Spanish Goats Grazing High-Quality Herbage”. Journal Of Animal Science 86 (5). Journal Of Animal Science: 1245 - 1253. doi:10.2527/jas.2007-0644. http://www.journalofanimalscience.org/cgi/doi/10.2527/jas.2007-0644. Patra, A. K, R. Puchala, G. Detweiler, L. J Dawson, G. Animut, T. Sahlu, and A. L Goetsch. 2008. “Tethering Meat Goats Grazing Forage Of High Nutritive Value And Low To Moderate Mass”. Asian-Australasian Journal Of Animal Sciences 21 (9). Asian-Australasian Journal Of Animal Sciences: 1252 - 1261. doi:10.5713/ajas.2008.60670. http://ajas.info/journal/view.php?doi=10.5713/ajas.2008.60670. Animut, G., R. Puchala, A.L. Goetsch, A.K. Patra, T. Sahlu, V.H. Varel, and J. Wells. 2008. “Methane Emission By Goats Consuming Diets With Different Levels Of Condensed Tannins From Lespedeza”. Animal Feed Science And Technology 144 (3-4). Animal Feed Science And Technology: 212 - 227. doi:10.1016/j.anifeedsci.2007.10.014. http://linkinghub.elsevier.com/retrieve/pii/S0377840107004282. Animut, G., R. Puchala, A.L. Goetsch, A.K. Patra, T. Sahlu, V.H. Varel, and J. Wells. 2008. “Methane Emission By Goats Consuming Different Sources Of Condensed Tannins”. Animal Feed Science And Technology 144 (3-4). Animal Feed Science And Technology: 228 - 241. doi:10.1016/j.anifeedsci.2007.10.015. http://linkinghub.elsevier.com/retrieve/pii/S0377840107004294. Helal, A., K.M. Youssef, H.M. El-Shaer, T.A. Gipson, A.L. Goetsch, and A.R. Askar. 2010. “Effects Of Acclimatization On Energy Expenditure By Different Goat Genotypes”. Livestock Science 127 (1). Livestock Science: 67 - 75. doi:10.1016/j.livsci.2009.08.004. http://linkinghub.elsevier.com/retrieve/pii/S1871141309002959. Beker, A., T. A Gipson, R. Puchala, A. R Askar, K. Tesfai, G. D Detweiler, A. Asmare, and A. L Goetsch. 2009. “Effects Of Stocking Rate, Breed And Stage Of Production On Energy Expenditure And Activity Of Meat Goat Does On Pasture”. Journal Of Applied Animal Research 36 (2). Journal Of Applied Animal Research: 159 - 174. doi:10.1080/09712119.2009.9707053. http://www.tandfonline.com/doi/abs/10.1080/09712119.2009.9707053. Chen, S.X., M. Rovai, A.L. Lock, D.E. Bauman, T.A. Gipson, F.Z. Ren, and S.S. Zeng. 2009. “Short Communication: Effects Of Milk Fat Depression Induced By A Dietary Supplement Containing Trans-10, Cis-12 Conjugated Linoleic Acid On Properties Of Semi-Hard Goat Cheese”. Journal Of Dairy Science 92 (6). Journal Of Dairy Science: 2534 - 2538. doi:10.3168/jds.2009-2021. http://linkinghub.elsevier.com/retrieve/pii/S0022030209705685. Ngwa, A.T., L.J. Dawson, R. Puchala, G. Detweiler, R.C. Merkel, Z. Wang, K. Tesfai, T. Sahlu, C.L. Ferrell, and A.L. Goetsch. 2009. “Effects Of Stage Of Lactation And Dietary Forage Level On Body Composition Of Alpine Dairy Goats”. Journal Of Dairy Science 92 (7). Journal Of Dairy Science: 3374 - 3385. doi:10.3168/jds.2009-2079. http://linkinghub.elsevier.com/retrieve/pii/S002203020970654X. Ngwa, A. T, L. J Dawson, R. Puchala, G. D Detweiler, R. C Merkel, Z. Wang, K. Tesfai, T. Sahlu, C. L Ferrell, and A. L Goetsch. 2009. “Effects Of Breed And Diet On Growth And Body Composition Of Crossbred Boer And Spanish Wether Goats”. Journal Of Animal Science 87 (9). Journal Of Animal Science: 2913 - 2923. doi:10.2527/jas.2009-1835. http://www.journalofanimalscience.org/cgi/doi/10.2527/jas.2009-1835. Sahlu, T., L. J Dawson, T. A Gipson, S. P Hart, R. C Merkel, R. Puchala, Z. Wang, S. Zeng, and A. L Goetsch. 2008. 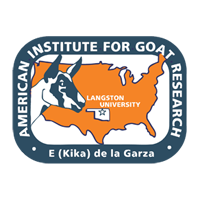 “Asas Centennial Paper: Impact Of Animal Science Research On United States Goat Production And Predictions For The Future”. Journal Of Animal Science 87 (1). Journal Of Animal Science: 400 - 418. doi:10.2527/jas.2008-1291. http://www.journalofanimalscience.org/cgi/doi/10.2527/jas.2008-1291. Puchala, R., I. Tovar-Luna, T. Sahlu, H. C Freetly, and A. L Goetsch. 2009. “Technical Note: The Relationship Between Heart Rate And Energy Expenditure In Growing Crossbred Boer And Spanish Wethers”. Journal Of Animal Science 87 (5). Journal Of Animal Science: 1714 - 1721. doi:10.2527/jas.2008-1561. http://www.journalofanimalscience.org/cgi/doi/10.2527/jas.2008-1561. Patra, A.K., R. Puchala, G. Animut, T.A. Gipson, T. Sahlu, and A.L. Goetsch. 2009. “Effects Of Acclimatization On Energy Expenditure By Meat Goats”. Small Ruminant Research 81 (1). Small Ruminant Research: 42 - 54. doi:10.1016/j.smallrumres.2008.11.002. http://linkinghub.elsevier.com/retrieve/pii/S0921448808002307. Tovar-Luna, I., R. Puchala, T. Sahlu, H.C. Freetly, and A.L. Goetsch. 2010. “Effects Of Stage Of Lactation And Level Of Feed Intake On Energy Utilization By Alpine Dairy Goats”. Journal Of Dairy Science 93 (10). Journal Of Dairy Science: 4829 - 4837. doi:10.3168/jds.2010-3316. http://linkinghub.elsevier.com/retrieve/pii/S0022030210005138. Tovar-Luna, I., R. Puchala, T. Sahlu, H.C. Freetly, and A.L. Goetsch. 2010. “Effects Of Stage Of Lactation And Dietary Concentrate Level On Energy Utilization By Alpine Dairy Goats”. Journal Of Dairy Science 93 (10). Journal Of Dairy Science: 4818 - 4828. doi:10.3168/jds.2010-3315. http://linkinghub.elsevier.com/retrieve/pii/S0022030210005126.